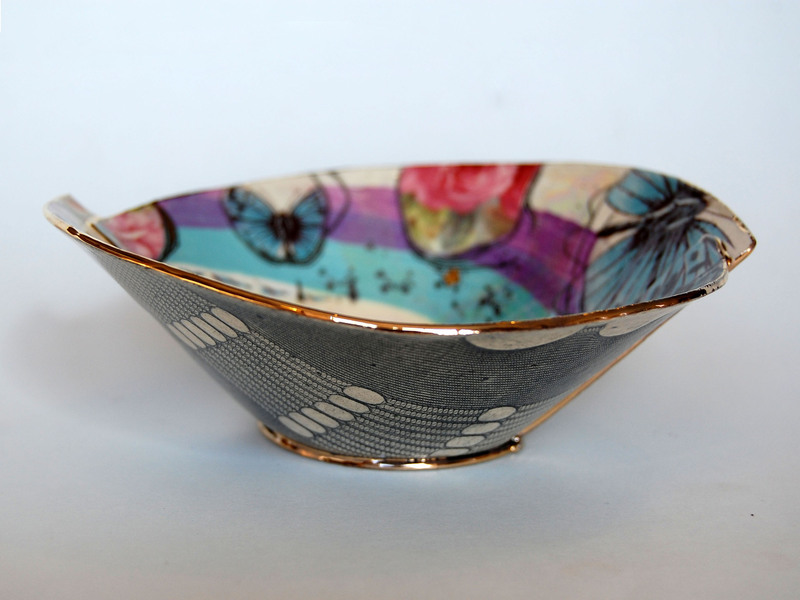 Vanessa Conyers studied ceramics at Bath Spa University graduating in 2004 with first class honours and is now based in Dorset. She creates fine ceramics from earthenware paper clay that are printed, wrapped, constructed and then delicately hit until they begin to collapse. Colour is applied and enamel decals are cut into the surface, and she feels unable to call a piece finished unless it’s sparkling with mother of pearl and with gold, the traditional hallmarks of decadent luxury. Inspiration comes from everywhere; design and fashion from many eras, music, colours, feelings and ideas are simmered down into objects that, individually, are explorations of surface design and decoration, but when seen as a series of collections become a form of self portraiture where she sees a growing essence of her soul and imagination being instilled piece by piece. 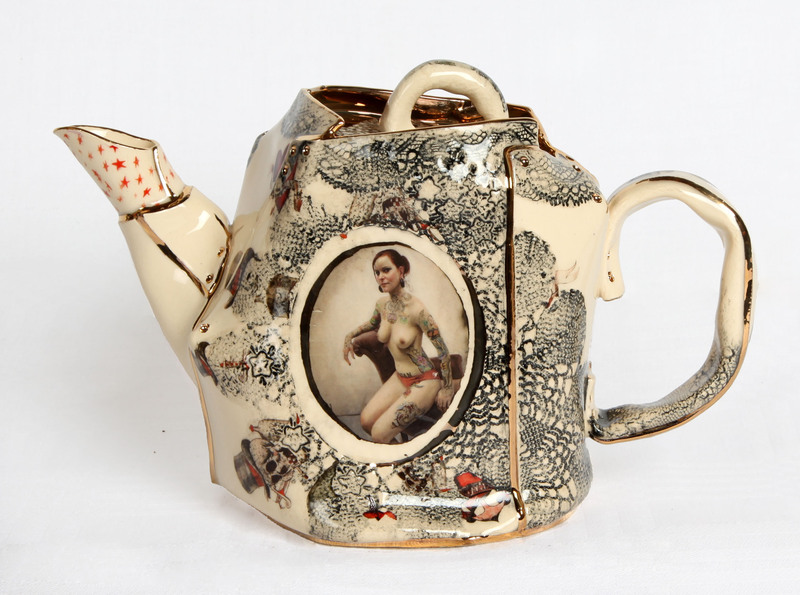 In May 2012 Vanessa was awarded the Brighton Artists Open Houses ‘Artist of the Year’ award for a tea set she created in collaboration with painter Stuart Pearson Wright. She regularly works on private commissions, her most recent major commission being a 100 piece art deco inspired dinner service. She also runs a pottery teaching studio in Dorset called ‘The Pottery Parlour’. 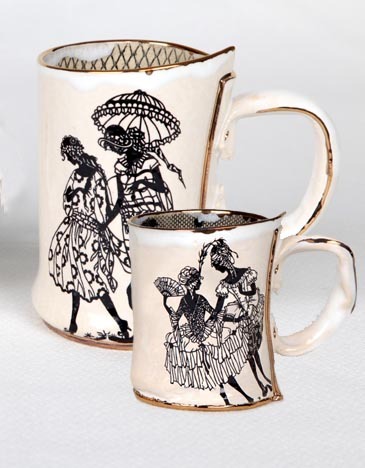 “If Marie-Antoinette was a piece of pottery, she would look like one of Vanessa Conyers’ designs. Pretty, lavish, layered, textured and completely individual, her pieces look too precious to use, each one of them a work of art” Emilie Lemons, Glass Magazine.